Monster games are gradually becoming familiar to players in recent times. Some monster games I have featured in previous titles such as Cube Monster 3D or DigimonLinks. 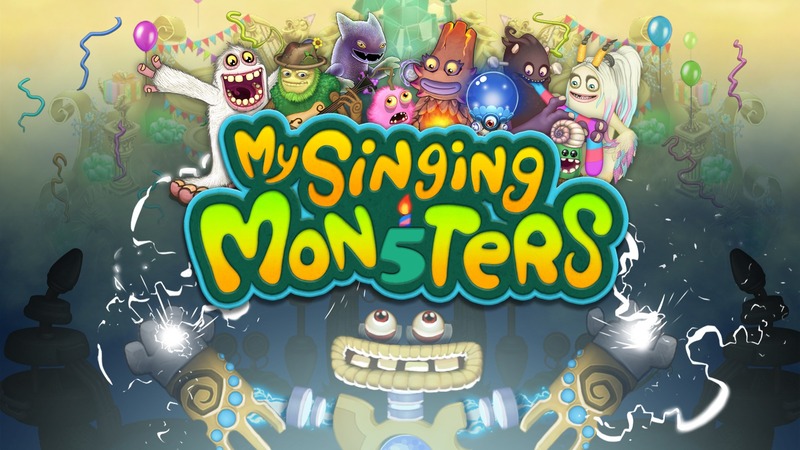 Today we come to a very unique monsters game from the publisher Big Blue Bubble called My Singing Monsters. Currently, the game supports a wide variety of platforms including two mobile platforms, Android and iOS and platforms such as Windows, Kindle, and Nook. Unlike the monster games that I have introduced before, in My Singing Monsters, you will also train the monsters but not to fight. Here the monsters you raise seem gentle and like singing. The monsters in this game are very ugly but ugly in a cute way. They all have a different vocal or musical instrument that creates unique songs on your island. My Singing Monsters takes you to an island of peace and tranquility. 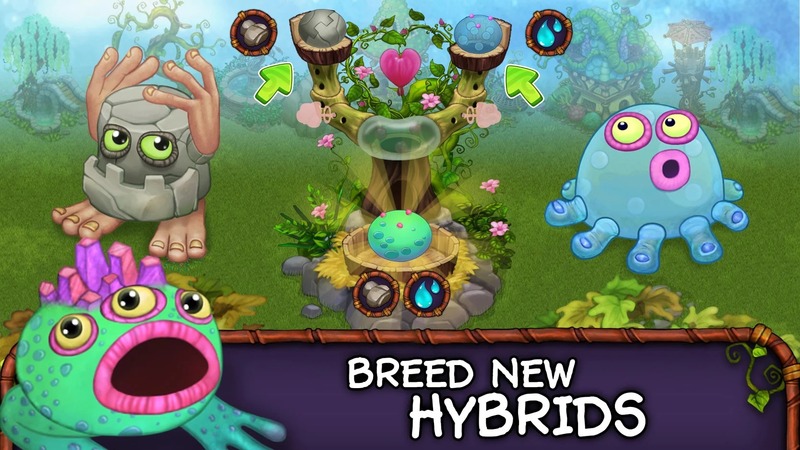 Your immediate task is to make the island more exciting by feeding the first monster on it with the help of in-game instructions. The purpose of this game is simple: breed monsters, feed them, hear them sing. As a guide, you will buy the first monster from the shop. The real joy begins when you can hybridize between two monsters and create a new species. Whenever you breed new monster and place it in a new home, it can adapt immediately. That means it will create songs, drum or flute to keep pace with the island’s tone. Each monster will contribute its own sound, motivating you to continue breeding new monster so that you can enjoy different tunes. When your monsters are overcrowded, be careful with your ears because of the seemingly chaotic sounds. You can mute some monsters but that will change the tone of the song. Make sure you have a great time by enjoying the music when playing this game. 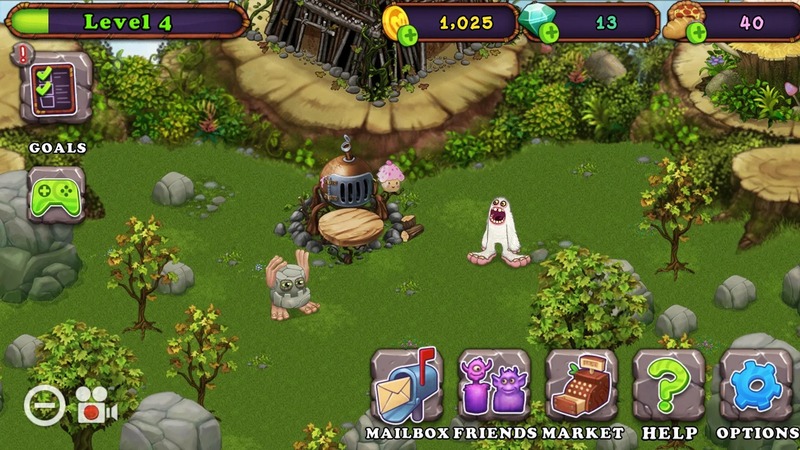 My Singing Monsters offers you a lot of decorations to decorate your island. Not only adds aesthetics, it also contributes significantly to the development of the island. When you place your favorite decorations near them, they will bring in more money. My Singing Monsters not only have the fun gameplay but also has cute graphics that inspire the players. Graphics are designed in cartoon style with many eye-catching colors, the characters are designed in a creative way, though looks a bit odd but cute. Besides, I can not ignore the sound, this is an important part to create the appeal of the game. The sound in the game with a variety sound of different musical instruments for players to enjoy creating their favorite music. Are you ready to create a music island with your own style? In general, My Singing Monsters APK is a game that is highly entertaining and suitable for all ages. The game is also a great choice for young children on weekends to stimulate thinking and creativity. You can install the game just a few steps after downloading via the links below. 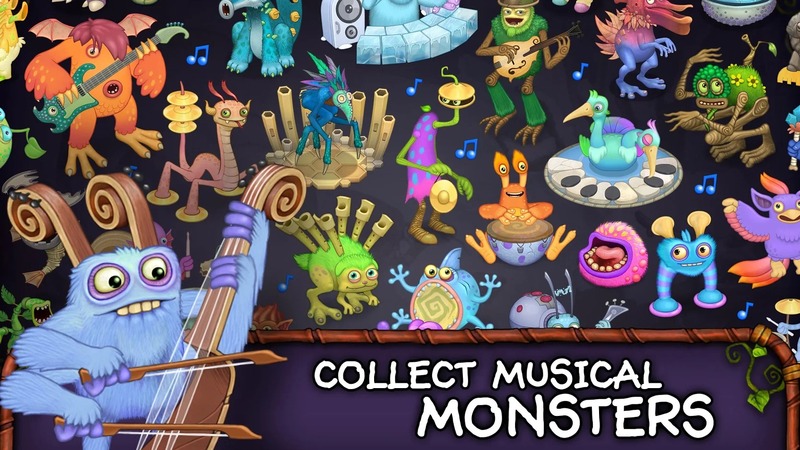 My Singing Monsters APK is ready to download! Depending on your needs, you can download My Singing Monsters MOD APK or My Singing Monsters Original APK. Or install from Google Play / App Store if you want. THANK YOU SO MUCH FOR WORKING ON A MY SINGING MONSTERS MOD APKMODY IS THE ONLY SITE I TRUST AND USE!